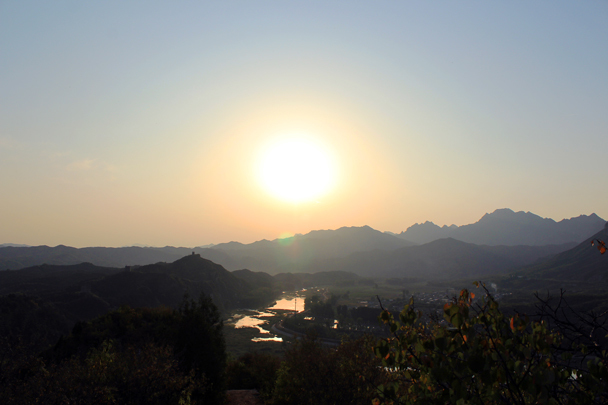 We did this hike on one of the few days during the Golden Week holiday where the weather was acting nice – no smog, no rain, all clear and sunny. The holiday traffic wasn’t so good, and we got a late start on the hike. But that meant we finished the hike in the late afternoon, and the light was really good for photos. 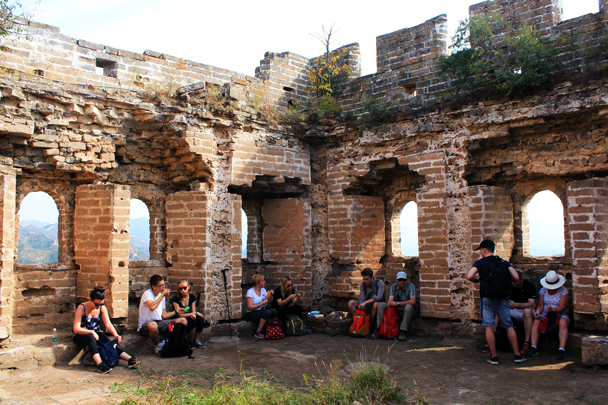 We usually do this hike going from Gubeikou to Jinshanling, but today we thought we’d try it the other way. 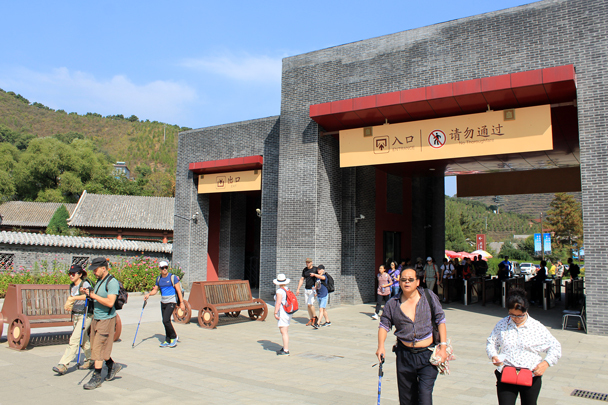 When we saw the crowds at Jinshanling’s ticket office we thought we might have made a mistake, but pretty much all the non-hiking visitors were concentrated on the wall near the cable car, and we escaped from there pretty quickly. And after that we saw hardly anyone else about. Perfect! 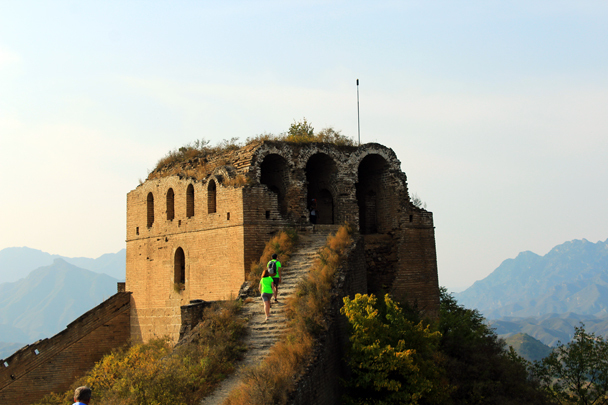 The main gate of the Jinshanling Great Wall. 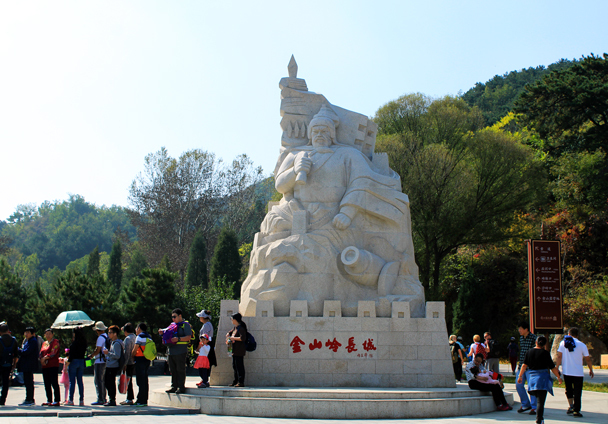 This statue depicts General Qi Jiguang, who was responsible for Beijing’s Great Wall in the later Ming Dynasty. 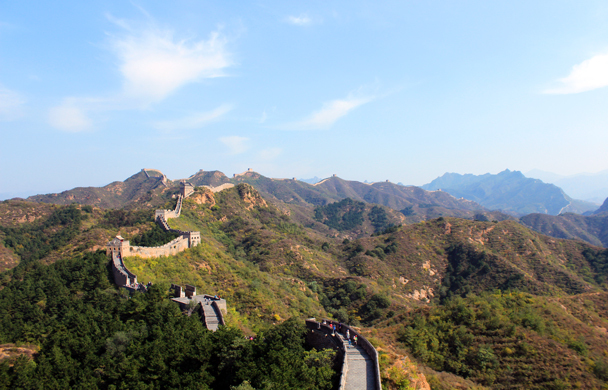 We hiked up on to the Jinshanling Great Wall, and as we hiked up we saw this panorama. 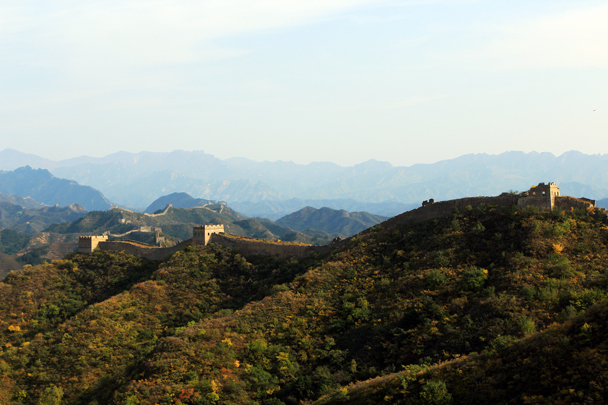 Later on we’d hike through those towers on the way to Gubeikou. 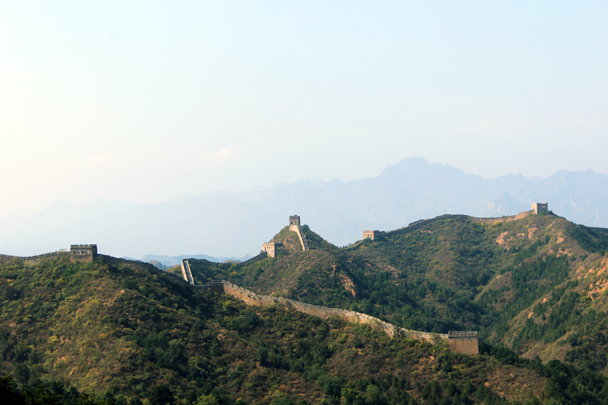 One of the great views of the wall at Jinshanling, with long views of the wall running off into the distance. 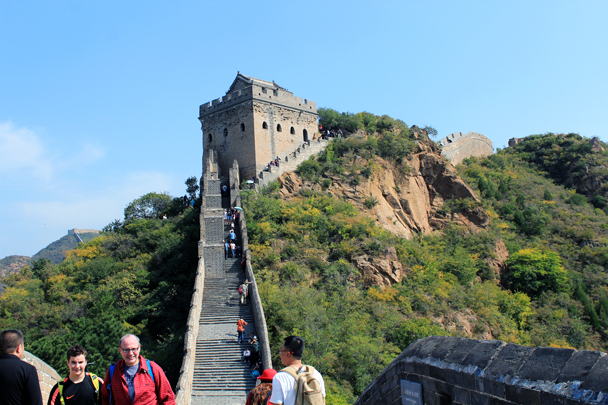 A restored watch tower – one of the busiest spots here on the wall, given that this is where the cable car brings all the non-hiking visitors. 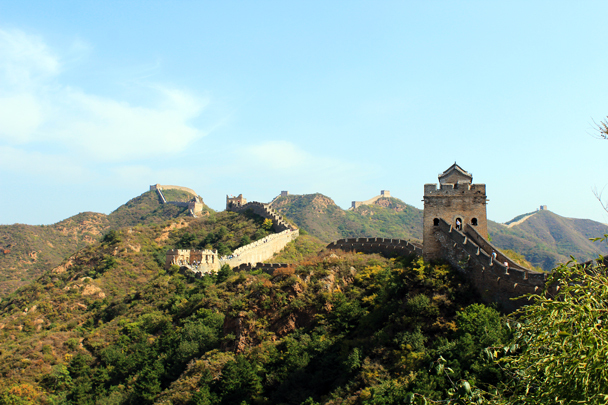 A wider view of the same tower. 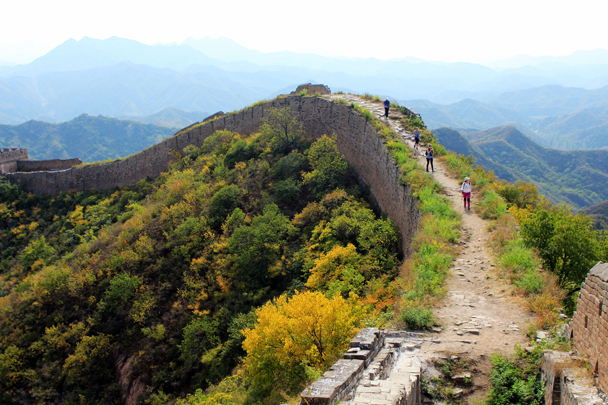 We’d hike further this way. The cable car tower we passed earlier is the tallest one in the middle distance. 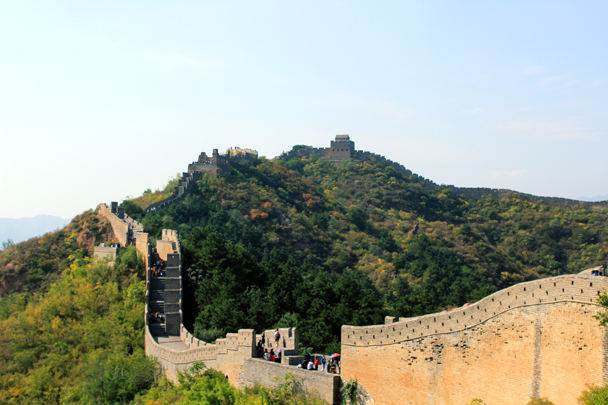 Much further that way is the Simatai Great Wall. 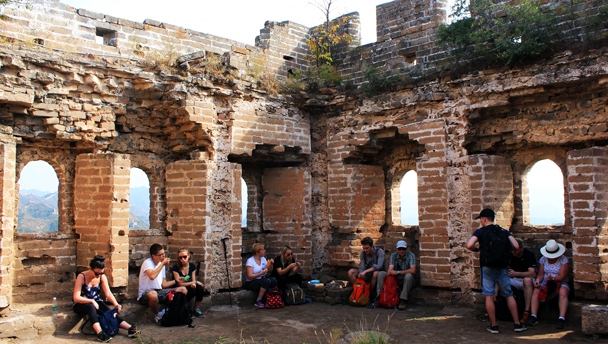 We hiked up through this tower on a cliff. 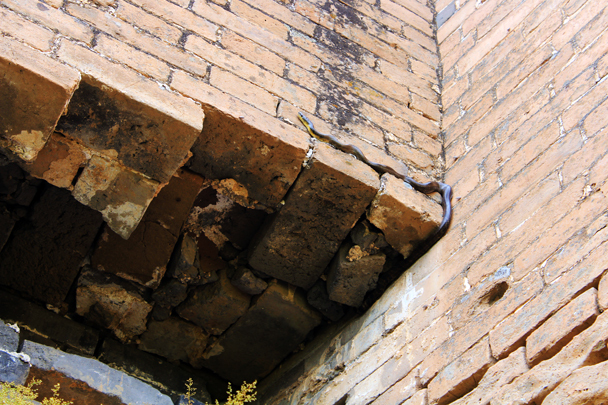 At the western end of Jinshanling the wall has been left unrepaired. 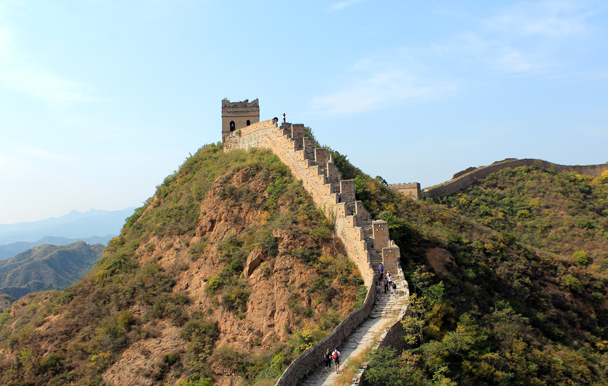 Here’s where we have to get off the Wall to walk around a military zone. The trail leads down to a settlement we call the Hemp Village. 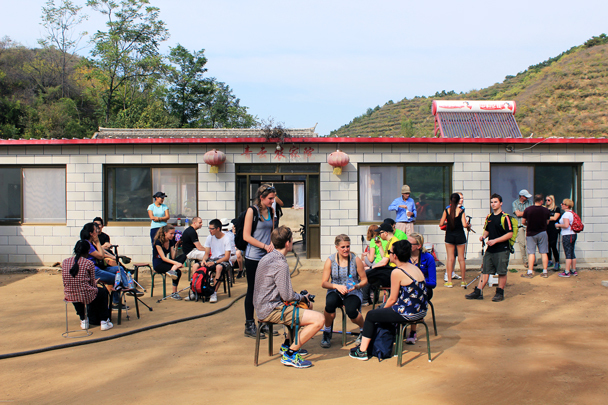 We stopped for a break outside Mr Zhou’s guesthouse. 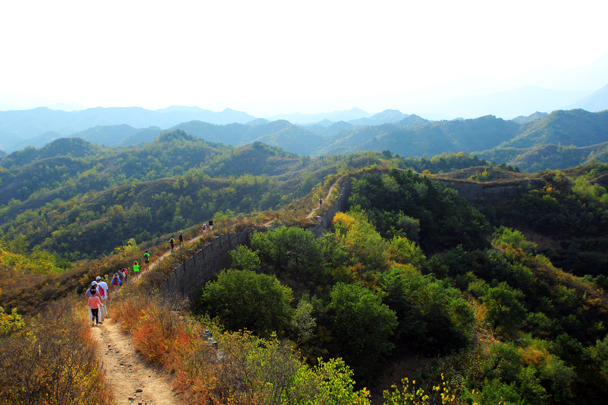 Here’s the start of the Gubeikou Great Wall, just on the other side of the military zone. With the sun starting to go down the light was lovely for photos. 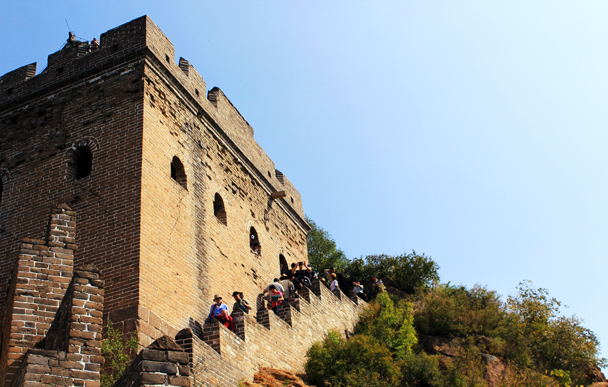 One of the large watchtowers at Gubeikou. 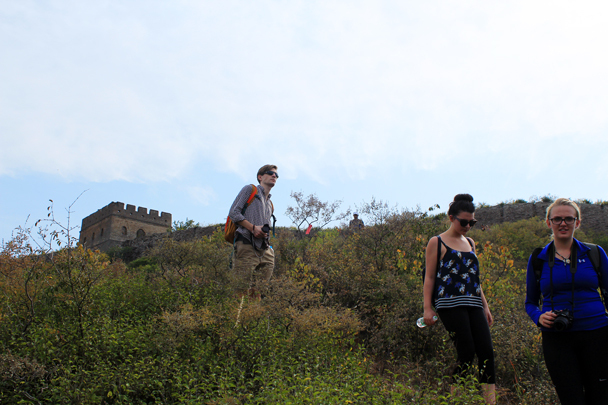 Walking down the Gubeikou Great Wall. 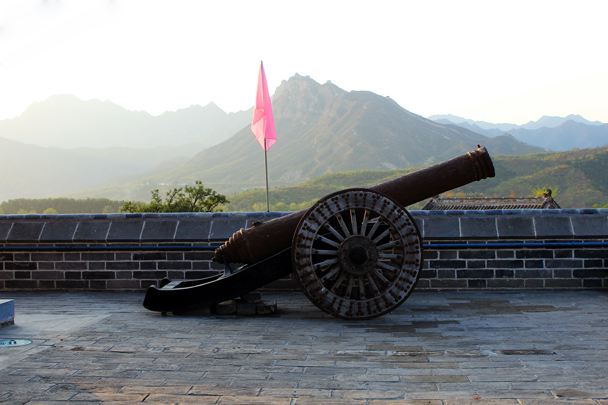 A cannon at Gubeikou’s North Gate, where we finished the hike. In Brief: On this hike through the hills we battled spiders and overgrown trails, and climbed the steep set of stairs to the top of Yaji Mountain—see 15 photos.